For a school to receive an AED (at no charge), they must achieve 100 credits. 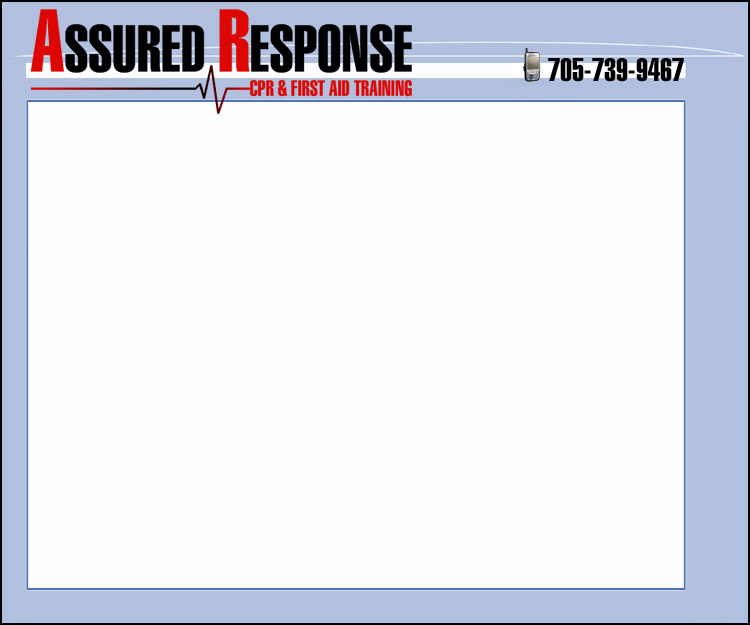 Each person taking a Standard First Aid & CPR program through Assured Response equals 1 credit. By registering online (no payment with registration) you agree to take a WSIB (Workplace Safety Insurance Board) 2 day Standard First Aid & CPR program at a cost of $99.00 + GST per person to be taken at a future date for your school. When we receive 30 registrants for a specific school, we will contact that school and arrange training dates. Payment is due when the program dates are confirmed. We will contact you to make payment arrangements at that time. If you are unable to attend the scheduled dates, you may attend another program, with another school, and your home school will still receive your credit towards their defibrillator. Upon completion of our program you will receive certification in Standard First Aid & CPR. Participants may also receive training and certification in the use of an AED. This AED training program (valued at $95 + gst per person) is being offered free of charge to any participant upon completing Assured Response’s Defibrillators for Schools Program. Our goal is not only to place an AED, but to train as many people as possible in the proper use of this lifesaving device.